Since 1943, we have dedicated our law practice to the stalwart representation of our clients in the areas of DUI law, personal injury law, family law, criminal law, business law, real estate law, probate law, estate planning, & more. We are a general practice law firm that services the areas in and around Allentown, Bethlehem, Easton & Stroudsburg. If you need an auto accident lawyer who will aggressively represent you & ensure you are fully compensated, trust in the attorneys at Sigmon & Sigmon, P.C. Serving Lehigh Valley, PA & surrounding areas. If you’re in need of experienced attorneys to help you out with a DUI, a painful divorce, or a child custody case, then it’s about time that you contacted Sigmon & Sigmon, P.C. of Allentown. We are the leading choice when it comes to lawyers in Allentown, as well as Bethlehem. Our professionals have been helping people just like you for over 70 years. If you're battling a DUI in the Bethlehem area, turn to Sigmon and Sigmon, P.C. for experienced legal aid. 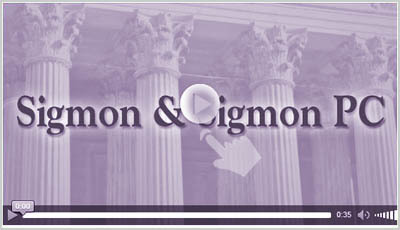 Turn To Sigmon & Sigmon, P.C., when You Need A DUI Lawyer Bethlehem. Whether you need help getting through a painful divorce, or you’re searching for a DUI lawyer, we can help. The folks at Sigmon & Sigmon, P.C. have been helping out clients just like you all over Bethlehem, as well as, Allentown & Stroudsburg & surrounding Lehigh Valley locations. Whatever your needs are, just know that we are there for you. Our attorneys are educated, experienced, & they truly care. We understand that not everyone has the same needs. That is why we work hard to provide you with legal services that are individualized to meet your specific situation. 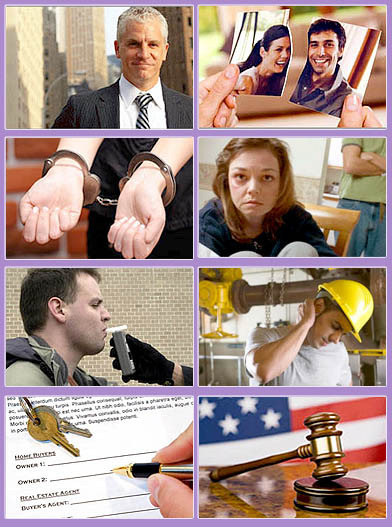 When you need help legally, we are there for you. We provide help on a large scale & offer legal representation for a wide range of different cases. We’re also available if you’re in need of a divorce lawyer or a business law lawyer. Sigmon & Sigmon, P.C. offers exceptional legal services to clients throughout Stroudsburg & the surrounding areas of Pennsylvania. As your criminal lawyer, personal injury lawyer, business law lawyer, divorce lawyer, child custody attorney, or DUI lawyer, we can provide you with the legal services you need. 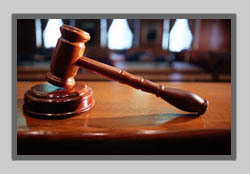 Our attorneys have helped thousands of clients to attain the results they are looking for. Since 1943, we have worked diligently to produce successful outcomes for our clients. If you are ready to have your case managed by a professional team of attorneys ready to assist you then contact Sigmon & Sigmon, P.C. today. We are proud to offer competent legal assistance to aid you in your case. We offer dedicated and focused representation & we are fully committed to providing you with the legal advice you need for success. with Mark Sigmon. Following in his father's footsteps & dedicated to solving legal issues for clients, since 1943. We have handled thousands of personal injury cases & have seen each case through to a conclusive resolution. Whether you have experienced a dog bite, car accident, truck accident, wrongful death, or work related accident; we will see to it that you receive the settlement that you deserve. We will see to it that the negligent party is held accountable. Sigmon & Sigmon, P.C. offers comprehensive legal representation covering ALL legal specialties. If you are in need of a Business Law Lawyer to help you establish your business, we can assist you in establishing a sole proprietorship, LLCs (Limited Liability Companies), LLPs (Limited Liability Partnerships), Incorporations, & Partnerships. We can also assist you in all aspects of family law & we will be the divorce lawyer that acts as your advocate throughout the entirety of your case. When it comes to your dependents, you can turn to us as the child custody attorney who will ensure the best outcome for you and your children. Sigmon & Sigmon, P.C. will put nearly 70 years of combined experience together to give you the representation that you deserve.